If you are on the look-out for help with the cleaning for the exterior surfaces of your home, we are the only company in NW4 you should turn to for help. We are a certified and experienced cleaning services provider and we take pride in our cleaners. We can assure you that you will not be disappointed in their work. They are hard-working and diligent. We can guarantee you impeccable results. We have a very friendly approach and perfect cleaning method. If you do not have the skills necessary to clean your home exterior, do not worry, we are here for you. We will send you our cleaners and they will come with their own equipment. We have equipped them with modern high-power pressure washing machines, that have been designed to clean with minimal water splashes and disruptions. 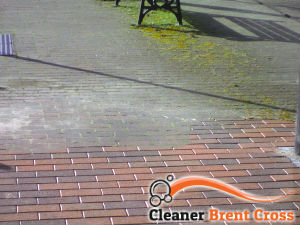 We will clean your patio and pathways, driveway, decking or terrace, brick walls, fences, etc. We are available for your residential needs or your commercial needs. Call us for any thing you need. What we will do is – clean dust and grime off your exterior surfaces, get rid of moss, algae and weed infestations, stains of various kinds, etc. 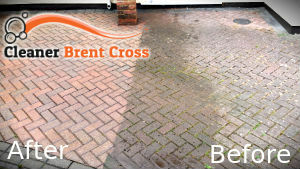 We guarantee you our jet washing service is the best one in Brent Cross, and you will love the results our cleaners will give you. Hurry up and contact us now. Enjoy our affordable prices.